Ronald Staub Obituary - Hummelstown, PA 17036, Pennsylvania | Trefz & Bowser Funeral Home, Inc.
Ronald “Ron” A. Staub, 65, of Steelton, passed away Sunday, January 14, 2018 at Harrisburg Hospital, with his loving family by his side. 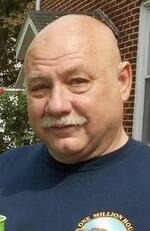 Born in Harrisburg on May 11, 1952, Ron was the son of the late Donald Lee and Joyce Marie Nesbit Staub. Ron was employed by Feeser Food Inc. for 35 years. He was a 1970 graduate of Northern High School, where he lettered in the band. Ron was a member of the Penn Harris Gun Club. He enjoyed hunting, fishing, home brewing beer, and taking trips to the shore. Ron is survived by his wife of 32 years, Colleen M. Brooker Staub, whom he married on August 17, 1985; children, Larry Wiebner of Hamburg, Michael Staub of Lititz, Jennifer Garner of Mechanicsburg, Heather J. Staub of Steelton, Ami Powell of Campbelltown, and Jason Staub of Steelton; one sister, Brenda Hartman of Dillsburg; three brothers, Glenn Staub of Wellsville, Brian Staub of Rossville, and Richard Staub of Harrisburg; and sixteen grandchildren. Funeral services will be held on Thursday, January 18, 2018 at 7 PM in the Trefz & Bowser Funeral Home, Inc., 114 West Main Street, Hummelstown. Family and friends are invited to a viewing in the funeral home from 6 PM until time of the services. To send flowers to the family of Ronald A Staub, please visit our Heartfelt Sympathies Store.